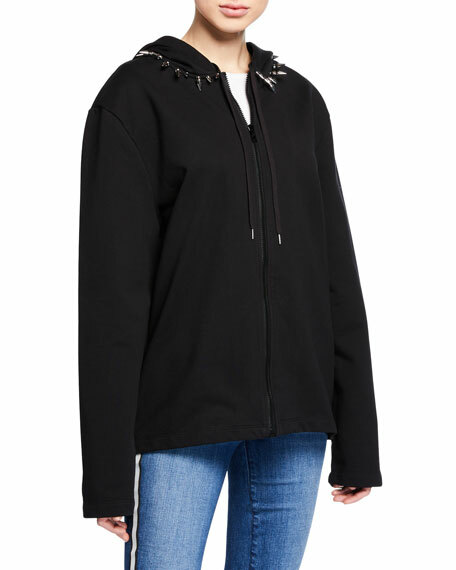 Helmut Lang hoodie in French terry with silvertone studs. 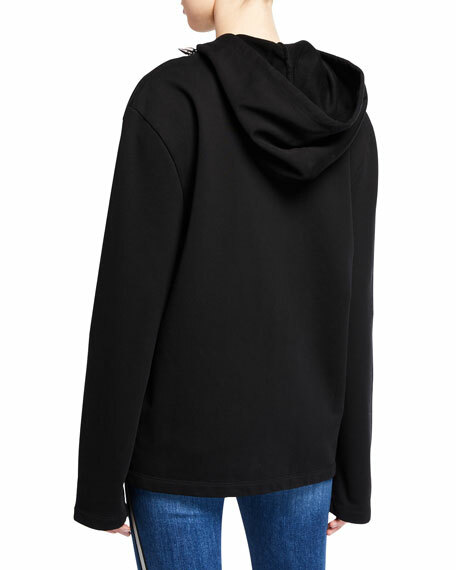 Helmut Lang standard hoodie with sheer sleeves. 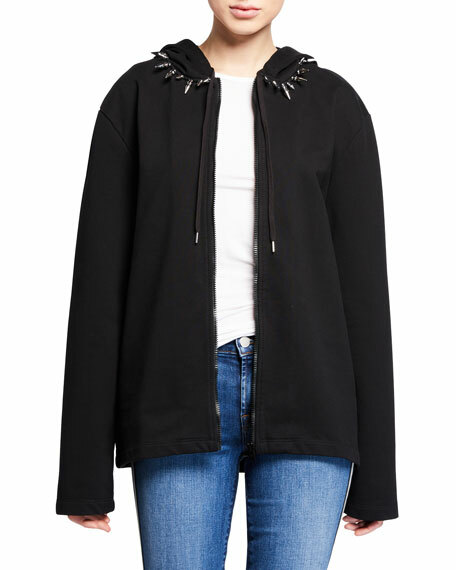 Hooded collar. Long sleeves. Kangaroo pocket. Wide, banded hem. Pullover style. Nylon. Dry clean. Imported of Italian material. Model's measurements: Height 5'10"/177cm, bust 31"/79cm, waist 24"/61cm, hips 34"/86cm, dress size US 0/2.